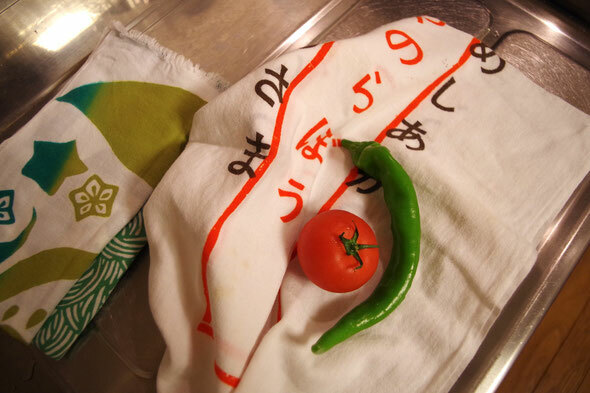 It's on "Tenugui Tuesday" evening, preparing dinner in my kitchen together with a couple of tenuguis. One for wiping vegetables' moisture, another for a wipe cloth which is reclaimed from a worn out one. 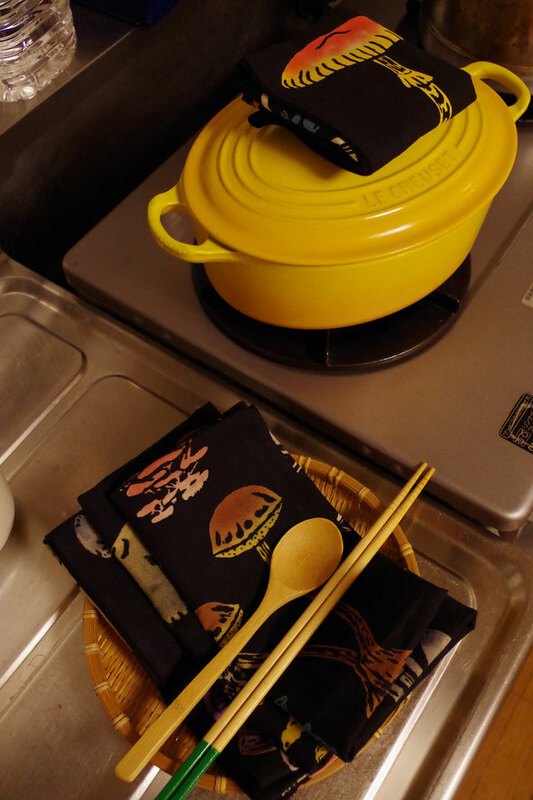 I have made a rule to myself; tenugui with food motives are especially for kitchen! they are all used constantly in my kitchen everyday. 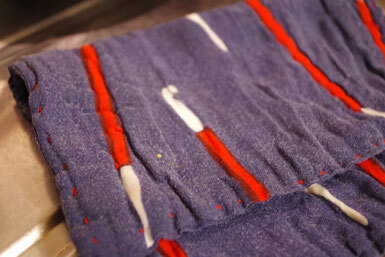 I have hand-stitched with red thread along the tenugui's design! Thank you for coming to visit me all the way on such a sunny and hot day! Would you like to take a shower?! ...Well, the guest will hesitate to say "yes". 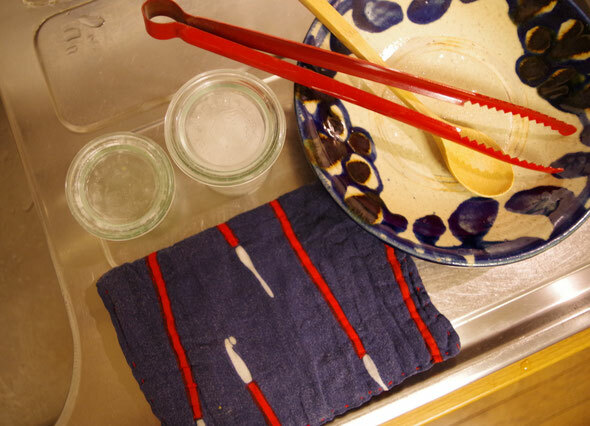 Instead, why not been prepared to serve "oshibori, wet towel" for the guest? 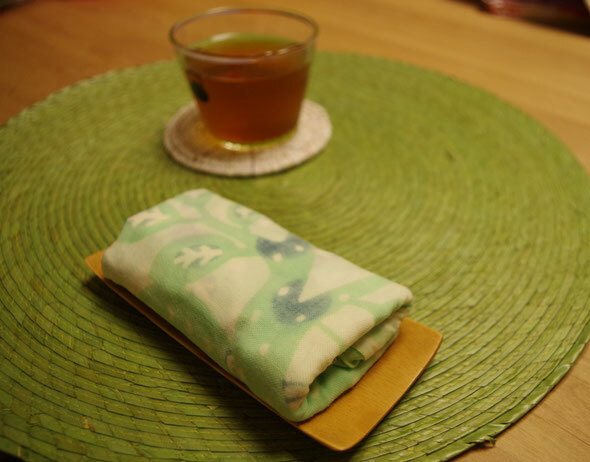 Wet a tenugui and keep it in a fridge for an hour, and it will be a nice refreshment. New tenugui may breed its colour when it's wet, so better to use worn-out one. 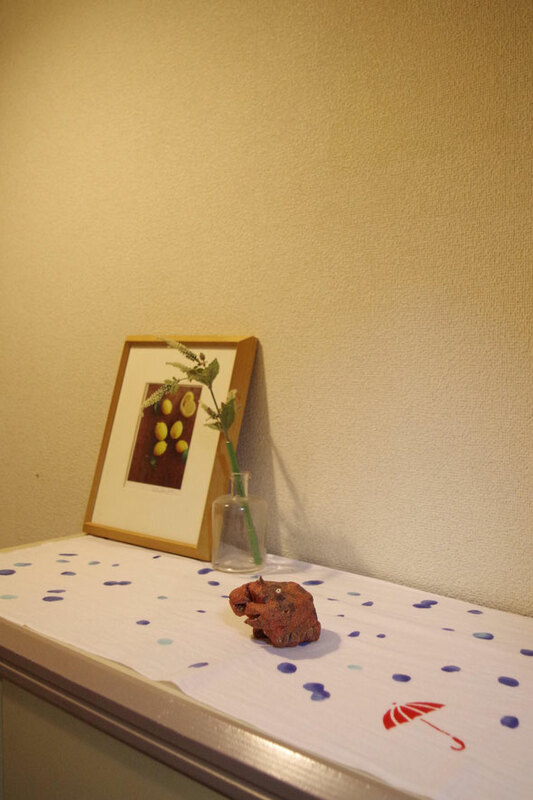 In this summer, I chose this "rain" tenugui for decorating the entrance at home. 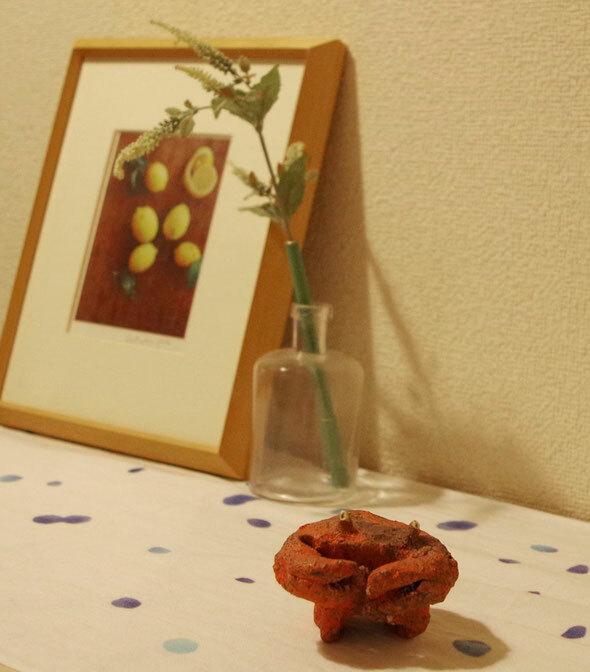 It goes very well with this ceramic crab made by Koichi Msaekawa! I am always recommending people to use teuguis for a table runner or a casual curtain. Because it's washable and easy to dry, let's use one of your collections and enjoy decorating your interior with tenugui! Studio Kotokoto kindly introduced myself and playonwords' tenugui, here is the article. If you are in the US, you can shop my tenugui from Studio Kotokoto's webshop.